Ah, I think this is the perfect time to post this picture since I just went to a workshop at Mind Body Zone. I really need to get back to the studio for yoga regularly. This is a wall in the studio. 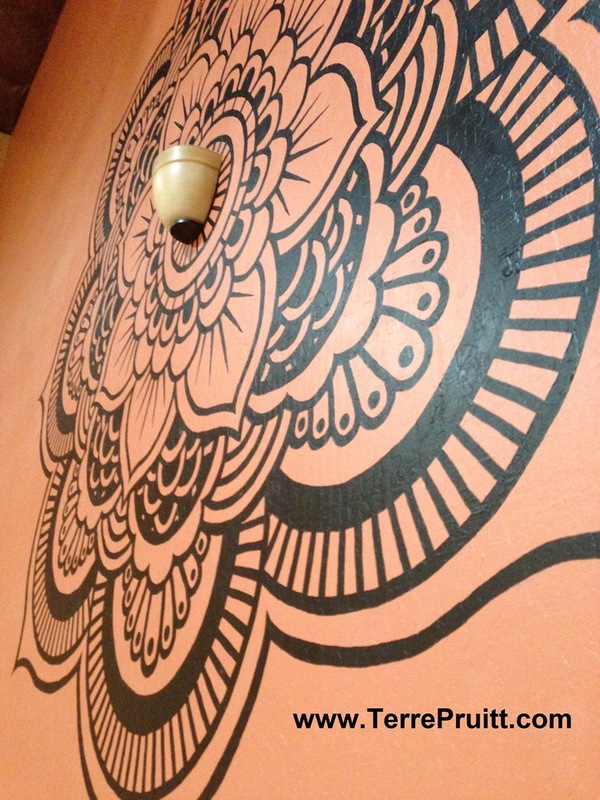 That is one thing that is kind of a misfortune in the places that I teach yoga, there is no wall space. Well, I shouldn’t say NO wall space, I should say ENOUGH wall space. There is not enough wall space for each student in the class to have a spot so we can use the wall. That is a great thing about a studio that is just for yoga, the ones I have been to have a lot of wall space because using the wall can be a great tool. The wall can be just like a prop. It can really help in some poses. It can definitely help you sense the poses in a different way! Here I am sharing a photo of the wall for my latest Friday Photo. So this past Sunday I took a workshop at Mind Body Zone yoga studio in Fremont that was called Core Release and Restore™. This is the second time I have attended this workshop. It was so fascinating to me the first time I just had to do it again. It is very educational. The first part of the workshop is lecture, then the second part we move. 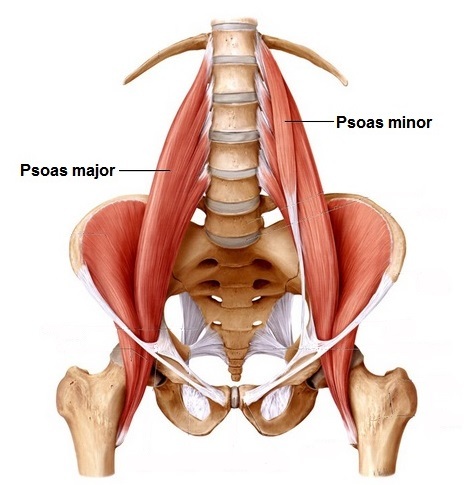 The presenter Joanne Varni first talks about the psoas muscle. She sets the stage for the movement part of the class. She first explains what type of muscle it is and what it should be like in a healthy state. She talks about how it is a muscles that is primal and instinctive, how it works with our brain and nervous system. She explains how, because of that, it is hugely affected on the levels of BMES (Body/physical, Mind/brain, Emotional, and Spirit/energetic). She clarifies how stress (all types) affect this muscle. Then she instructs us through movements that can help bring some relief to our psoas and iliopsoas muscles. One technique she shares is neurogenic tremoring. It is one of the oddest things I have ever experienced. First we went through some asana to specifically slightly fatigue our legs and affect the psoas. Some of the poses could be used on their own to help release the psoas. Then we did Supta Baddha Konasana with our heels as close to our middle as we could get them. We stayed there for a little while. Then we brought our knees in, toward each other, one inch at a time over a long period of time. We would bring them in an inch and then hold it there. Then closed them by another inch and hold it. This caused a tremor response in the legs. Some people can continue to do so until their feet are flat on the ground, yet the tremors are still happening. Joanne specializes in helping those with trauma (including PTSD) and has attended and completed her Level II certification in TRE™ (Tension & Trauma Releasing Exercises) with Dr. David Bercelli. She is also certified as TSY teacher (Trauma Sensitive Yoga). Keep in mind that this is called both Trauma Release and Tension Release. So not everyone has trauma necessarily, but we all pretty much have tension. Even it we don’t have stress, because of our lifestyles (in that we sit in chairs) we have tension in our psoas and iliopsoas muscles. So while Joannes does not feel these muscles needs to be strengthened she does feel they need to be released and lengthened. If you want to see a video example of the TRE™ (Tension & Trauma Releasing Exercises), you can click here and go to Joanne’s site where she has a video. It is so very fascinating how our bodies hold and store tension and trauma. I would recommend this class to anyone that is interested in helping their body cope with the stresses of living in our bodies. Have you ever heard of this technique before? Have you experienced this technique before?